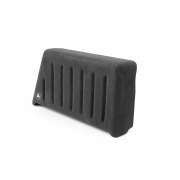 JL Audio SB-J-UNLTD4D/13TW5v2/DG Jeep® certainly hit a grand-slam when it added a second set of doors to the Wrangler® platform, but the factory audio system can definitely use some help. 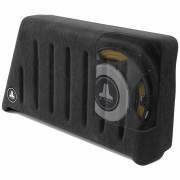 Our Stealthbox® for the Wrangler Unlimited® is designed to provide powerful, audiophile bass quality without significantly compromising your precious cargo space. 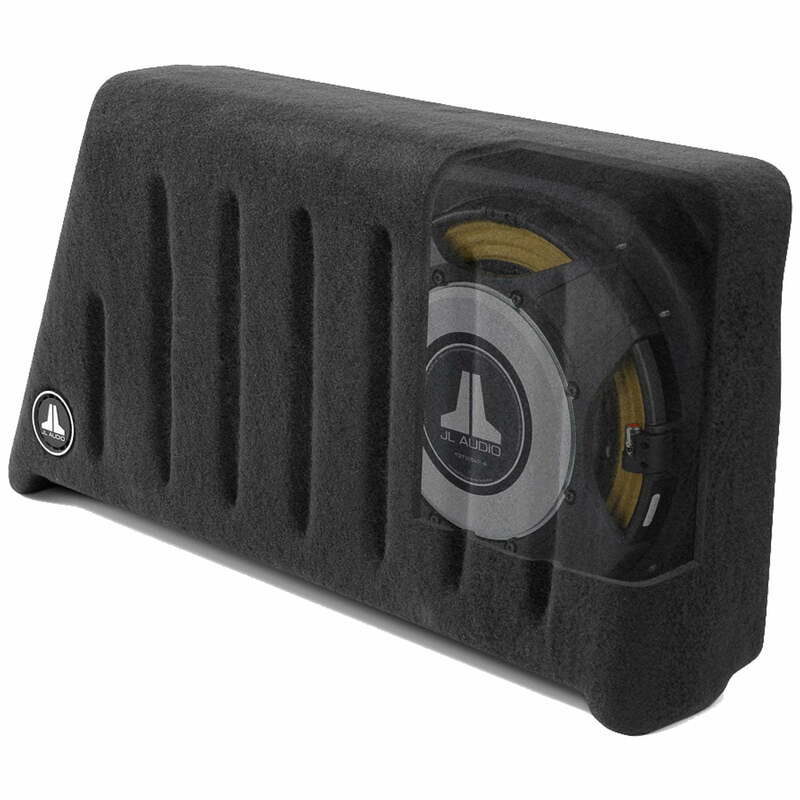 JL Audio patented, low-profile TW5 subwoofer technology makes it possible to extract amazing bass from a very thin enclosure that bolts solidly to the passenger-side rear wheel well. Rugged, 100% fiberglass construction is as tough as your Jeep® and the protected driver position means that you can still toss all your gear in the back without worrying about damage. It also won’t call attention to itself in parking lots… even if you have a ragtop. So, whether your adventures are urban, suburban or on the roughest trails. this Stealthbox® will make them all more exciting. The Hard Data: Contains one 13TW5v2-2 subwoofer in a sealed enclosure. 600 watt power handling. Wired for 2 ohm mono. Installs against passenger-side wheel well. Requires removal of factory “subwoofer, if so equipped. For model years 2011-2012 with a 12V accessory plug on the rear passenger side cargo panel/subwoofer, you must purchase a plain (without subwooofer) passenger side rear cargo trim panel (part #1pu12dx9ag) and a cover for the upper seat belt / roll bar (part #1pu18dx9ad) from Jeep/Mopar parts.